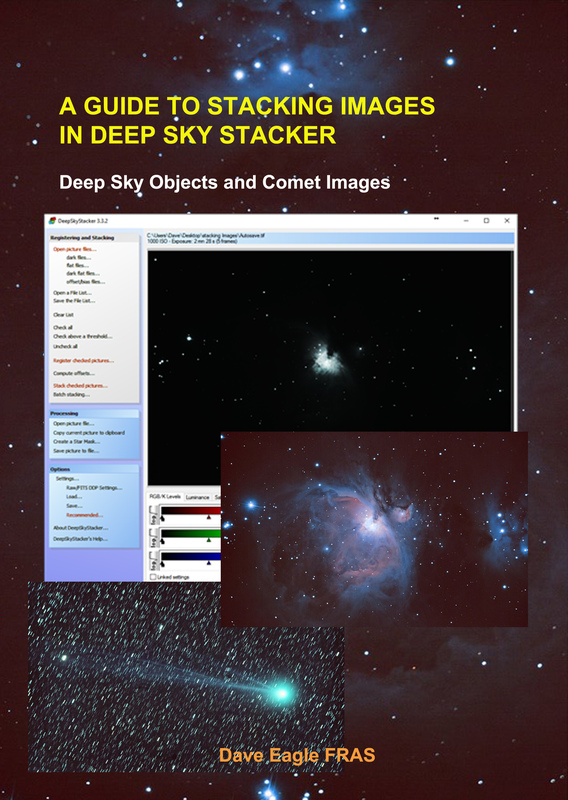 Deep Sky Stacker Guide – More Coming Soon. 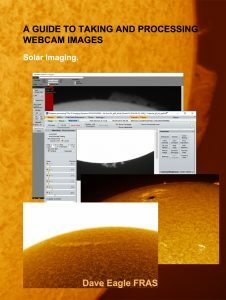 A Guide to Stacking Images in Deep Sky Stacker. There are only a few printed copies left now, but good news, I have ordered some more (with some minor re-writing) which are now on their way. This A5 sized guide takes you step-by-step through the technique of stacking deep sky and comet images shown during my hugely successful astrophotography workshops earlier in the year. The guide costs £7:00, plus £1:50 postage and packing. (UK Only). Please contact me if overseas for postage costs. Click on the Paypal button below to order your copy which will be sent to you by first class post. Now available for pre-order. £7:00. Save the £1:50 in postage if you pre-order before it’s published. Click on the Paypal button below to pre-order. It should be available mid November and will be sent out to you via first class post as soon as the printed copies arrive. 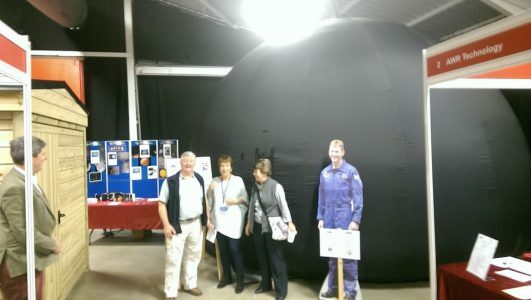 I was lucky enough to stand in for Andy Green and take his Stardome Planetarium to the International Astronomy Show on the 14th & 15th of October. Sue courageously helped me over the two days. It’s surprising how sitting and standing around for hours on end, in between the planetarium shows is so knackering. 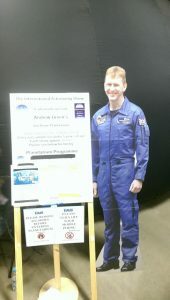 While we were these our @Flightsuit_Tim was accosted by the organisers and went on tour of the stands. A great couple of days where we met lots of really nice people and enjoyed the two days. 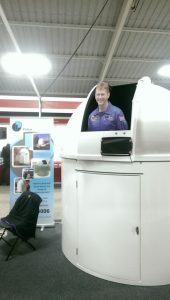 Next stop, Starfest in North Essex. Kelling Images – Finally processed. 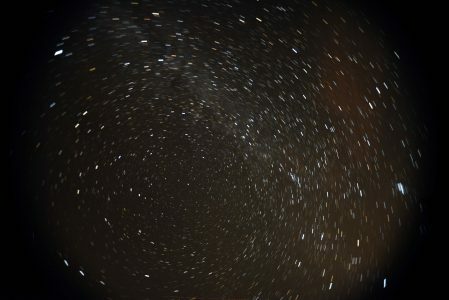 I finally got a few minutes to process the few images I took on Friday night at Kelling on the 30th of September. Pity the clouds kept interfering. Trouble is I spent more time doing visual observing when it was clear and socialising when it was rainy. 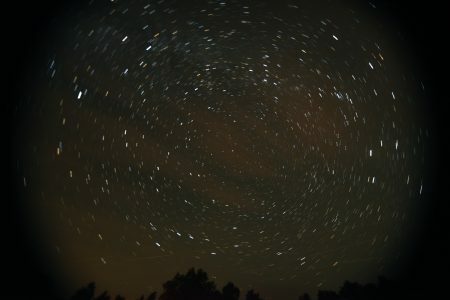 I used the individual images taken that night to make Startrails, a Stacked Image and a movie. 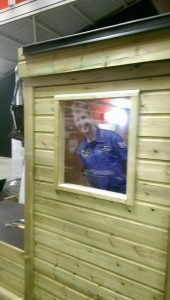 Now to get packed up ready for running Andy Green’s Stardome Planetarium at the International Astronomy Show tomorrow. Should be a great couple of days. 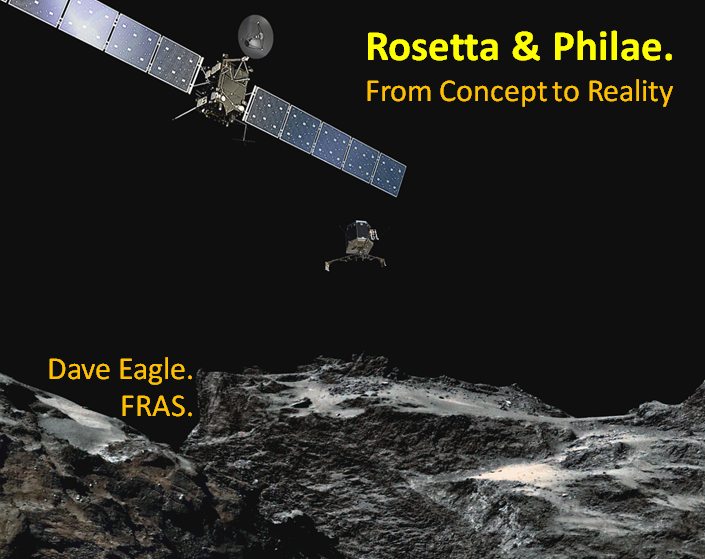 Rosetta and Philae Presentation – The Final Cut? After the triumphant and dramatic finish to the Rosetta mission last week, I am gathering images and video for the final touches to my presentation and finishing video highlighting this spectacular mission. Having followed this mission so avidly and for so long, even managing to capture it as a couple of streaks on camera as it shot past for a gravity assist after a year in space in 2005, I have been quite surprised at how emotional I feel now this mission has ended. Or should I be? What a spectacular mission it has been. Hats off to everyone who has been involved in orchestrating this fantastic achievement and the spectacular outreach with the “Once upon a time” videos. That’s the true nature of humanity, not what we have to put up with on the news every day. Showing the stark beauty of comet 67P’s geologically diverse nucleus, the brilliant achievement of the mission and being able to share that with in a fun way with so many people these past couple of years has made the whole mission come even more alive for me. I will miss reading the Rosetta blog to add the latest updates, although I’m sure some new science results and hi-resolution OSIRIS images will be released at some point, so my presentation may not be quite finished yet. 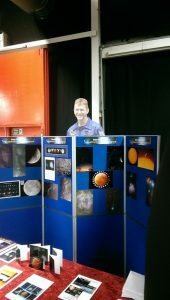 So if your local astronomical club haven’t booked me for this presentation yet, what are you waiting for? And if I have already been, how about me coming back and finishing this wonderful story? Rosetta & Philae, rest in peace on your rubber duck. You deserve it. Planetarium at IAS – 14th and 15th of October. 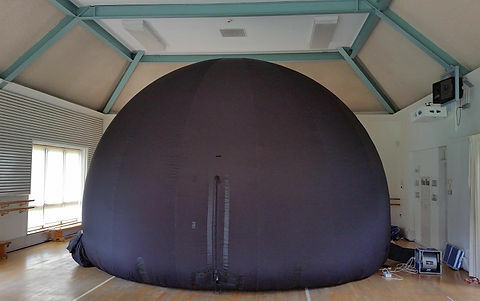 I am looking forward to standing in for Andy Green when I will be taking his Stardome Planetarium to the International Astronomy Show Friday and Saturday the 14th & 15th of October. Andy will be away chasing the northern lights in Iceland. Again! 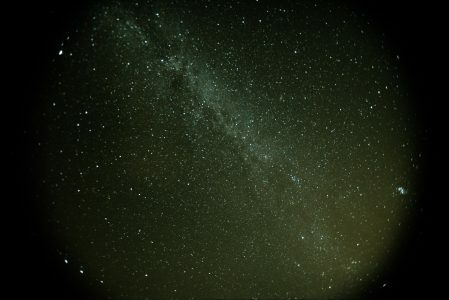 Underneath a darkened night sky I’ll be giving audiences an overview of the brightest constellations in the night sky, pointing out and showing some of the fantastic objects we can find nestled amongst the stars. 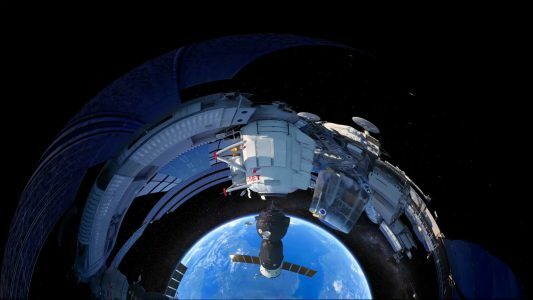 As if that wasn’t enough, to follow I will then take them on a trip into orbit, up to visit the International Space Station with none other that Tim Peake. (His narration, not in person, unfortunately). Using full-dome video to really make you feel like you’re really there, it will be a truly immersive and thrilling experience. So if you are planning to attend the show, come along and say “Hello”. If you buy a ticket for the planetarium show, thank you very much and I hope you enjoy what I have in store for you.